Our digital present to all observers on this planet: The Astronomik calendar of the Lunar phases 2018 is online! 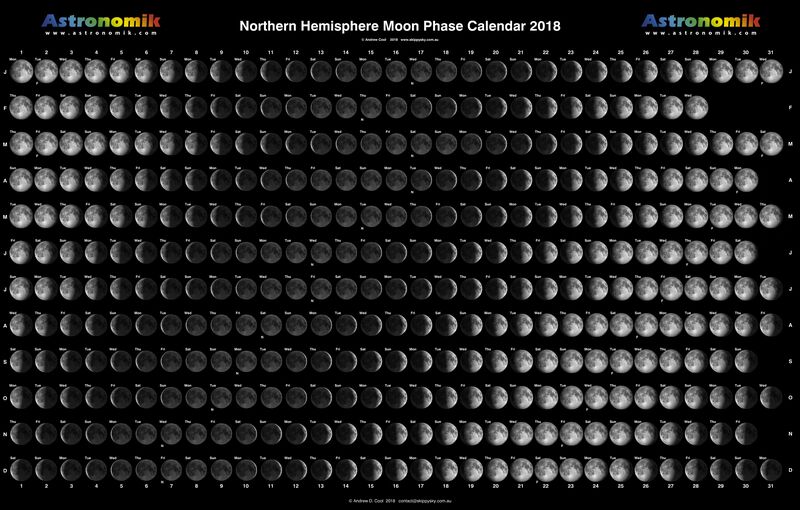 Andrew Cool, the author of skippysky.com.au has prepared a marvelous calendar of the Lunar phases in 2018. Magnificent work and very valueable for a quick plan of observing sessions in 2018!